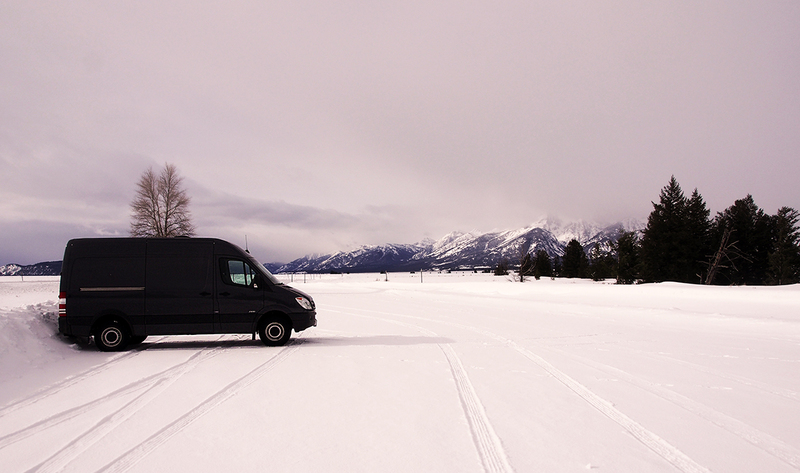 This research inquiry is a two-year autobiographical design project of converting a Mercedes Sprinter van into a camper van. This project allows me to investigate the complexities and nuances of a case where people engage in a process of making, transforming and adapting a space they live in. This example opens a radically different and productive context for revisiting concepts that are currently at the center of human-computer interaction (HCI) research: ubiquitous computing, home automation, smart homes, and the Internet of Things. 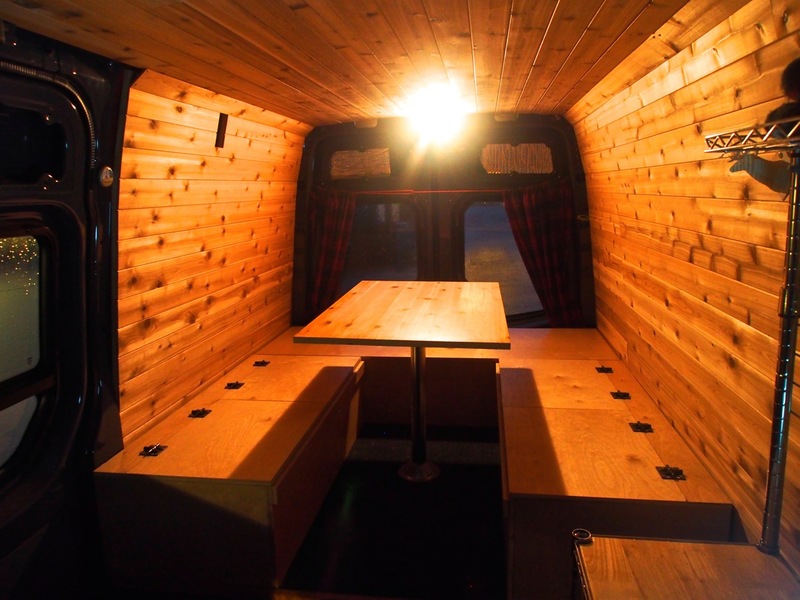 We offer six qualities characterizing the evolving relationship between the makers and the lived-in environment: the van. We conclude with a reflection on the two themes of living in a reconfigured home and prototype qualities in a reconfigured space, and a critical reflection around the theme of the invariably unfinished home. 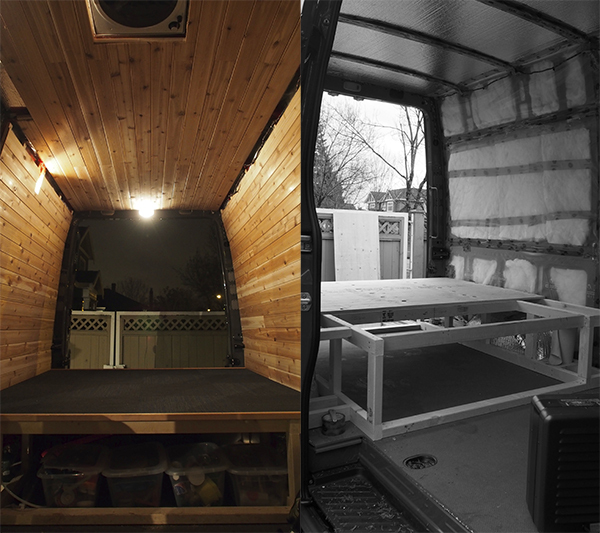 Unlike many autobiographical design projects, I document every step of our conversion process with the intention of sharing our process with other DIY enthusiasts. However, it turns out that this documentation is also extremely helpful when reflecting on the making aspect of living in a prototype. _ Desjardins, A., and Wakkary, R. (2016). Living in a Prototype: A Reconfigured Space, In Proc CHI 2016, New York, ACM Press, (in press), 12 pages. ** Awarded: HONORABLE MENTION (top 4% of all submitted papers). School of Interactive Arts and Technology, Simon Fraser University. _ Desjardins, A., Wakkary, R., Odom, W., Lin, H., and Schilling, M. (2017). Exploring DIY tutorials as a way to disseminate research through design, Interactions Magazine, ACM Press, 78-82.